This is issue no. 144 of 180. The last issue had a 43.99% open rate with a 🔥10.71% of you going to this article on Buzzfeed's leap into pure, direct eCommerce (affiliate commerce doesn't count). Ken Bone, the Uber pitchman. Entrepreneurship, Family, and the Future of Retail with Shopify's COO Harley Finkelstein. What Payment Options Do Users Want? ECOMMERCE: As many big retailers focus on making the process as seamless as possible, guest checkouts are now seen as standard and slow-loading speeds are a thing of the past. But what about payment preferences? I’ve recently been questioning whether people do actually care if a site has a one-click buy option. If the process is quick, transparent and easy - does it really matter? ECOMMERCE: Wearable camera maker GoPro said on Thursday it temporarily stopped selling its latest HERO5 camera model on Amazon.com Inc in the United States as the company negotiates pricing with the online retailer. 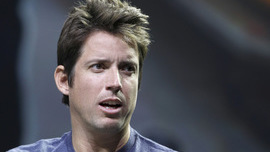 GoPro’s shares GPRO -4.06% fell as much as 3.8%, on track for its worst six-day drop since May. The company will resume supplying to Amazon at the end of the month or in early November, a GoPro spokeswoman said. ECOMMERCE: Affirm, the online lending startup founded by PayPal co-founder Max Levchin, has raised $100 million in debt from financial services giant Morgan Stanley. 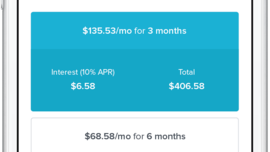 The credit line comes with the news that Affirm has tripled the volume of its loans in the past year, which amounts to hundreds of millions worth of loans. Levchin is taking a slightly different approach to borrowing online, rethinking the way shoppers—particularly millennials—borrow money by letting them obtain a micro-loan at a point of sale instead of using a credit card. 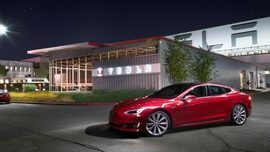 Tesla Increases Lead in U.S. BRAND: Tesla shocked the industry earlier this year when it confirmed having delivered 25,202 Model S sedans in the U.S. in 2015, which gave the company a 25% market share in the premium sedan market. For the first time, Tesla had surpassed market leaders like BMW and Mercedes. Furthermore, every single other large luxury sedan has seen its sales decrease during the same period. Now the electric automaker is increasing its lead on the US luxury sedan market to such a point that the Model S is now twice as popular as the Mercedes S-Class or the BMW 7-Series. ECOMMERCE: One of the globe’s leading e-commerce giants, Shopify functions as the backbone to world’s most prominent companies including Google, Tesla Motors, Wikipedia and countless others. 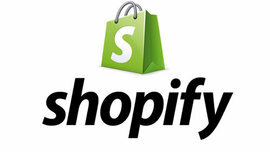 Yet it is not simply Shopify’s outstanding software that drove it to grow into the wild success it is recognized as today powering over 275,000 retailers in 150 different countries. Through both its blog and podcast, Shopify has been able to further embrace the narrative of being the “go-to” destination for entrepreneurs. 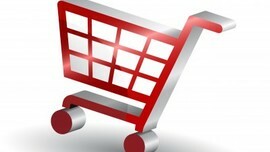 Why is eCommerce Thriving While Traditional Retail is Not? ECOMMERCE: Long-established retailers haven’t escaped the crisis and there has been a steady stream of high street staples going into administration, or losing profits. Just last month, John Lewis Partnership – long time pillar of the UK retail industry - reported that profits had been hit by a ‘very competitive retail market’, citing IT costs as another factor in the decline. Both of these factors could be put down to the exponential growth of eCommerce in recent years, which The Centre for Retail Research says is now the main driver of growth in European and North American retailing. ECOMMERCE: Shoppers like Mitchell are expected to drive much of that growth. EMarketer has predicted sales through mobile phones and Amazon.com will continue to push other retailers to enhance their online shopping options to meet consumer demand for speed and convenience. 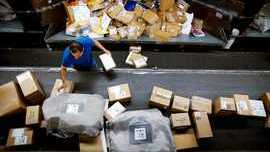 For the workhorses of the holiday season, that means pressure to handle and deliver more packages more quickly. FedEx and the United Parcel Service aren't expected to hire more people than last year, but both have invested in technology to improve the efficiency of their systems. MEDIA: Thrillist, Dodo and NowThis are all run by or backed by members of the Lerer family, a prominent force in digital media. Investor Ken Lerer, who co-founded Huffington Post and chairs BuzzFeed, backed NowThis, a short-form video maker, and The Dodo, a digital publisher that focuses on animal content, via his Lerer Hippeau investment company. His son Ben Lerer founded Thrillist as a dude-centric publisher in 2004, and his daughter Izzie runs The Dodo. Ben Lerer will be CEO of Group Nine. Discovery’s investment seems to parallel ones. MEDIA: Pinterest said on Wednesday that it had surpassed 100 million monthly active members, in a milestone for the digital scrapbooking start-up, which has faced scrutiny over whether the size of its user base and business growth can justify its huge valuation. 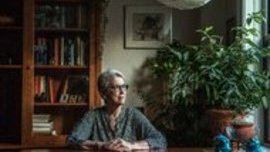 The company, based in San Francisco, has grown rapidly in the last five years, amassing a war chest from top venture capital investors and strategic partners, and gaining a valuation of $11 billion in the process. The rebranding will be launched during the holiday season with the company’s largest advertising campaign. 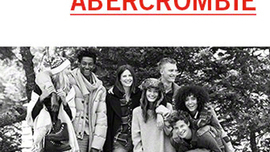 At the same time, Abercrombie will introduce a redesigned website, new digital advertising across video streaming websites, music platforms and social media and marketing in New York City, Los Angeles and Chicago. After the relaunch, Abercrombie will begin revamping its stores next year. “This new brand position is the product of an 18-month effort to create a brand identity that communicates our focus on our customers’ needs and aspirations,” said Fran Horowitz, president and chief merchandising officer, in a statement. The brand's most capable play is their very first one. The majority of America doesn’t know that the brand is over 115 years old. And that’s important because the next evolution of the brand will be a reversion to its glorious past. On a 37 foot wall of a New York City gathering place, there is an elephant head. 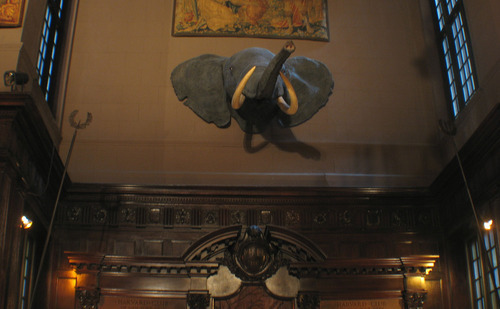 Legend would have it that Teddy shot it and donated it to his alma mater and yes, his favorite social spot - New York's Harvard Club. Roosevelt killed the elephant wearing Abercrombie & Fitch. Earhart flew her planes in Abercrombie & Fitch. Being a retail / branding geek, I ponder what I would do if I were in-charge of rebranding Abercrombie. It's simple, I wouldn’t aim to evolve; I'd aim to remember. Abercrombie’s history is so rich, it’s nauseating. So many pivotal historical moments happened with that logo on a pioneer's apparel. The Abercrombie & Fitch brand is too entrenched in history to ignore it. The rebranding efforts will shutter a lot of today’s status quo but if they can get it right, it will be here for another 100 years. And their marketing executives do what they're supposed to, the old outdoors brand will be heralded for what it was when Teddy was king.